TCS iON CCQT is a national level test platform created by TCS iON. 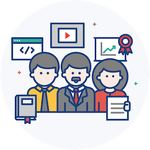 CCQT (Common Corporate Qualifier Test) score makes the candidate eligible for 130+ core and IT companies to help both CS-IT and Non CS IT students to get placed. It will also help the BBA, B Com, B.SC graduates to get pleased in various companies. 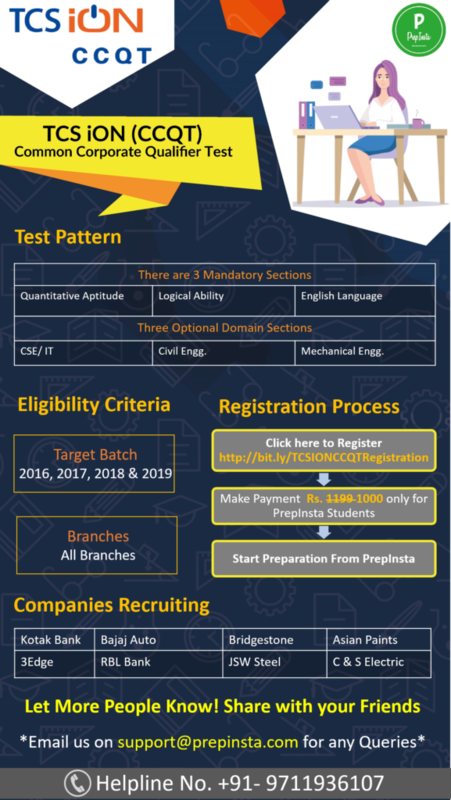 This page will help you understand the application process , paper pattern , syllabus and Previous for PrepInsta TCS iON CCQT. There are two stages in the TCS iON CCQT exam . This is an optional section which is upto the candidates choice. He/She can attempt or skip this section. This section consist of three domains CSE/IT, Civil & Mechanical. The student can choose any of these domains based on the branch you belong to or the type of corporate you are applying for. Students looking for job in IT sector should choose CSE/IT domains and similarly for the other two domains. But there is no restriction as such Civil or Mech students can still choose for CSE/IT optional sections as well. This section is a 15 mins video based interview. The tool will ask 3-4 basic questions and you need to answer looking to the webcam and it gets recorded. This is as important section as the Stage 1. There are total 6 sections in the test. Below we have the list of the individual pages on them to give you a deeper insight on TCS iON Previous Years Papers. Total Number of Questions asked: 30 Questions. 1 Questions is asked in the exam. What is Optional Section ? You can either attempt or skip the optional section. This CCQT Optional Section is basically classified to three Domains i.e. CSE/IT Engg* , Civil Engg* and Mechanical Engg*. Students can choose any of the above three based on your preference and the kind of corporate you are planning to enrol into. For ex: Students looking for IT jobs can go for CSE/IT domain. Similarly students looking for Core jobs in Civil or Mech can go for those optional sections. How tough is the test ? The difficulty of the test can be defined between medium to hard. 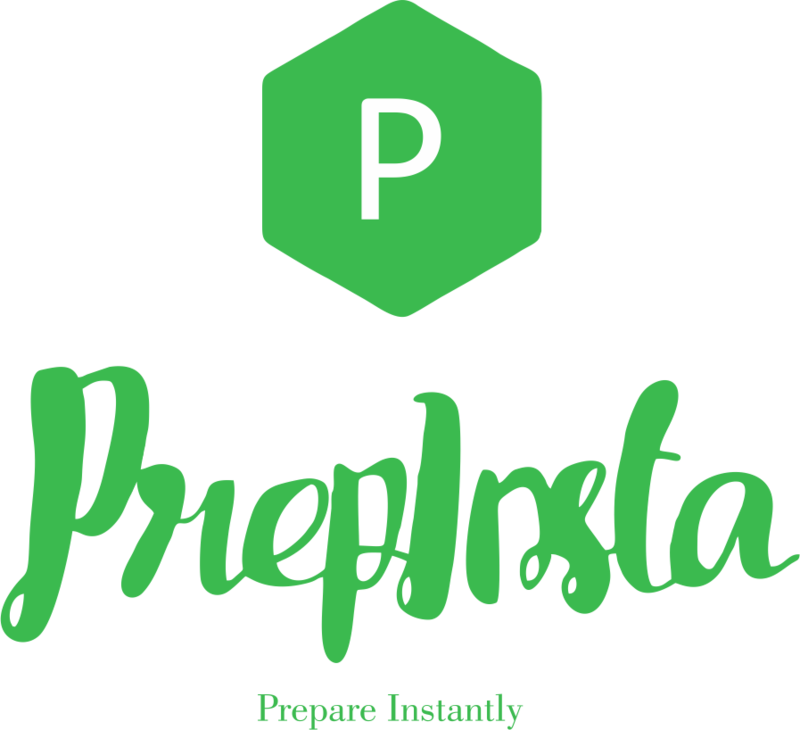 PrepInsta preparation dashboard will make it easy for you. For how many companies are we eligible with CCQT Test ? TCS iON CCQT allows you to apply for 130+ companies once you appear for the CCQT test. How many times in a year can we appear for CCQT test ? TCS iON CCQT test can be given after every 3 months to improve you score . To score best in the first attempt itself , please study using our dashboards. Which of the following disease is caused by the deficiency of Vitamin B1 (thiamin) ? Which is the longest (or largest) Constitutional amendment act known as ‘Mini-Constitution’? Which of the following women cricketers has the record of highest individual score in an inning against her name in the Women’s cricket World-cup 2017? Which of the following Governor Generals of India earned the title, “Maker of the Mordern India” ? Which Instrument did Bismillah khan play? Which personality laid the foundation of space technology in India? Which causative microorganism is resposible for disease dengue? Who became the first Indian woman to be nominated as a member of the International Olympic Commitee (IOC) ? Which of the following is NOT a Himalayan Mountain Pass connecting Uttarakhand with Tibet? Who among the following acts as the ex-officio Chairman of Rajya Sabha? In which place does Government of India plan to establish the first National Sports Museum? Abyssinia is the old name of which country? Which among the following is a disease caused by bacteria? From the constitution of which country has the Indian Constitution borrowed the idea of Directive Principle? Which is the smallest district by area, in India? Who among the following became the first woman to recieve Sahitya Akademi Award in Maithili for her novel Marichika? Who built the Jantar Mantar of Delhi and Jaipur? Which is the highest cotton producing country in the worls? Whose autobiography is titled ‘ Ace against odds’? _________ was Bairam khan’s son, who became an important person in Akbar’s court. From which country has the Indian constitution derived the feature of a Five year plan? Who founded the Haryanka Dynasty? Which part of the Indian constitution contains Fundamental Rights? We hear others speaking to us from adjacent rooms due to _______ of sound waves. Which mountain pass is in sikkim? Calcium hydroxide is used as a base in manufacture of which of the following products? Which article of Indian constitution says, ‘ The state shall take steps to separate the judiciary from the executive in the public services of the state? Who among the following is considered as the first law officer of Govwrnment of India? Which 4 states account to approximately 80% of the coal reserves in India? In terms of area, Which among the following is the smallest state of India? Which Indian state was the first to establish the institution of Panchayat raj? What does Yellow Revolution refer to? Who was the last mughal emperor of india? Where has India’s first floating elementary school been inaugurated? Which famous Himalayan mountain pass that connects sikkim with Tibet forms an offshoot of the Ancient Silk Route? Who among the following discovered that the malarial parasite is transmitted by the anophles mosquito? Who is the author of the book ‘Geet Govind’? Which dance form uses masks? Who wrote the book ‘Gokhale, My Political Guru’? Who ascended the Gupta throne after Chandragupta I? ‘Kalamkari’ art form has originated in the Indian state of _______. Who among the following cricketers scored 400 runs or more in a single innings in International test cricket? The word ‘secular’ was added in the preamble of the Indian constitution by_____amendment in the year 1976. What is the name of the first satellite launched by india? Which schedule of the Indian constitution has provisions regarding powers, authority and responsibilities of Panchyats? Which Indian city was once known as ‘ Bhagynagar’? Which country will be hosting 2018 common wealth games? From the constitution of which country has the Indian constitution borrowed the idea of directive principles?